Conveniently located 12kms from Beachmere is the Caboolture Public Hospital. There are also local medical facilities servicing the Beachmere District. This well positioned estate in South East Queensland is 50km North of Brisbane and 35km south of the Sunshine Coast. The site covers an area of 13 hectares with two thirds designated to green space. Beachmere is well served by public transport with a bus interchange conveniently located at the Beachmere Shopping Centre with buses operating along Beachmere Road. Beachmere is well served by Queensland Rail from Caboolture Railway Station with regular services to Brisbane. Moreton Bay region is projectced to increase by 60.2% between the years 2006 and 2031, from 332,862 persons to 533,170 persons. Includes boat ramp, fishing, playgrounds, sporting fields, tavern, communitcentre. The main shopping centre for Beachmere is conveniently located and anchored by IGA and includes a post office, real estate, hairdresser, seafood takeaway, newsagency, medical centre, bakery, network video, QMC and pharmacy. The product is primarily designed to address the limited supply of house and land packages within close proximity to Moreton Bay and the city of Brisbane CBD driven by a range of factors including vacancy rates, sea change living for city workers and affordability for retirees. The Land is located 40 minutes from the CBD. It enjoys close proximity to transport, shopping and recreational facilities. There is limited supply of good quality homesite land so close to Moreton Bay and local transport hubs linking to Caboolture. This area is expected to increase in value significantly as demandfor quality property increases and supply diminishes. The site is attractive being in close proximity to shopping and entertainment. Moreton Bay Shire council is also spending substantial funds upgrading the local area. According to SQM Research and the Australian Bureau of Statistics, Moreton Bay Region LGA vacancy rates at March 2014 were 1.4%. Vacancy rates are expected to come under greater pressure due to the limited amount of stock available to the market. The low vacancy rates have resulted in increased rental returns which were up 2.8% in 2011 and expected to increase by 5.7% per annum by 2016. 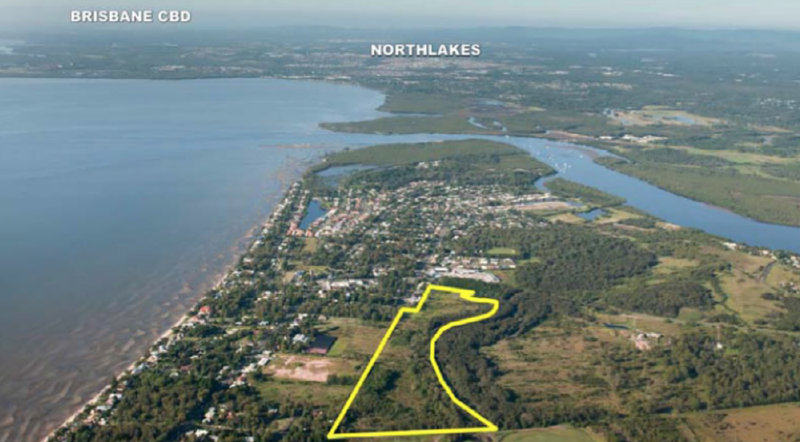 Oceana Beachmere estate is a boutique 31 lot development nestled near the banks of Moreton Bay. The homes are designed to provide flow through ventilation and good passive solar protection. The finishes and exterior are designed to be attractive to the end users and durable for the investors.